The Battlefield Line is the last remaining part of the former Ashby & Nuneaton Joint Railway, which was opened in 1873 and built jointly by the Midland and the London and North Western Railway Companies primarily to move coal from the Leicestershire and South Derbyshire coal fields. Although it stopped running passenger trains in 1931, it continued operating freight until it finally closed in 1969 as a part of the national rail network. The Shackerstone Railway Society was formed to save part of the line. Volunteers worked for many years which resulted in the current railway. It is operated completely by volunteers, who operate and maintain the trains, track and staff the shop, museum and tea rooms. The current line runs, for five miles, through rural West Leicestershire countryside, from Shackerstone Station onto Market Bosworth Station and terminating at Shenton Station. The line closely follows the Ashby Canal where boats can be seen as they glide through the water. Shackerstone Station houses a Museum, Tea Room, Shop and Locomotive Shed, along with most of the rolling stock. There is a large free car park accessed along the old track bed. The pretty hamlet of Shackerstone is a short walk from the station. 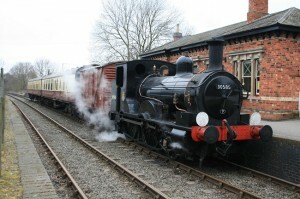 Market Bosworth Station hosts most of the special events. It has a tea room open most weekends. There is a large free car park in the old goods yard. The centre of this small market town is about half a mile from the station. Shenton Station is situated close to the Battle of Bosworth Visitor Centre where Richard III fell in battle. There is a Tea Room open weekends and a Glass Blowers in the old station building. The car park is managed by Leicestershire County Council as part of the visitor centre, for which there is a charge. 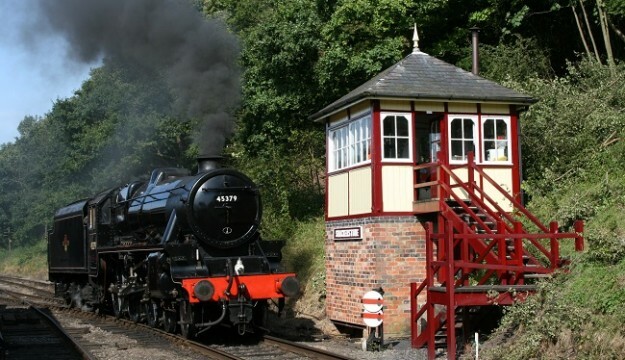 The railway runs weekends and Bank Holidays from March to November also Tuesday, Wednesday and Thursday’s mid-July to end of August and Wednesdays in September. Special Christmas trains operate in December. Special events are run throughout the year.